The Big Lottery Fund is the largest funder of community activity in the UK. It puts people in the lead to improve their lives and communities, often through small local projects. Building Better Opportunities is a National Lottery and ESF funded project designed to tackle poverty and promote social inclusion throughout Worcestershire, this project is proud to tell you the story of Samantha Johns. Samantha was referred to Vestia by Kidderminster Job Centre in March this year for support with finding work, as Samantha had been out of work for 5 years. Being out of work for this length of time meant Samantha was feeling a little overwhelmed at the prospect of finding work and had lost her confidence and motivation in order to do so. Samantha was and has always been extremely employable, so our focus through her action plan was to enable her to feel ready and equipped to job search, complete applications and be prepared for interviews. After setting Samantha up with an updated CV and cover letter, this is exactly what we did; whilst also focusing on improving and increasing Samantha’s confidence and motivation, through showing her that she can achieve and should believe in her capabilities. Initially, Samantha was not in any rush to find work and wanted to work through the programme at a pace to suit her development. She was keen to carry out some work experience in order to find the area of work she would be well suited to and we began to explore this together. Samantha made brilliant progress thanks to her determined and dedicated nature. During her time on the programme, Samantha’s personal circumstances changed and meant that finding work was now a priority. Samantha continued job searching and completing applications with my support during appointments and would also use the skills she had learnt do these independently between appointments. In July, she was asked to interview at Lloyds Pharmacy and although she wasn’t offered the job there and then; they were keen to keep her details in case another opportunity came up. A few weeks later, after more applications had been completed and Samantha had been invited to another couple of interviews. 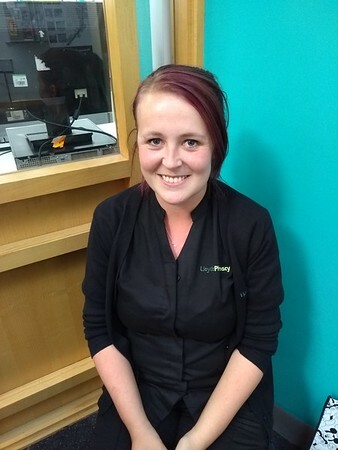 She received a phone call offering her the job at Lloyds Pharmacy as a Trainee Healthcare Partner to which Samantha happily accepted. Samantha is very appreciative of all the support she has received through Building Better Opportunities and feels she believes in herself a lot more than she did previously. Samantha is looking forward to her future and is keen to grow and develop in her new role. If you or anyone you know would benefit from the support of a dedicated Job Coach who will work with you to build on your own strengths and abilities to gain the confidence and skills to move into work, please get in touch now we are waiting to hear from you.